Alanna Demetrius | The Phoenix Loyola redshirt senior guard Marques Townes brings the ball up the court against Drake Feb. 5. Alanna Demetrius | The Phoenix Redshirt senior guard Clayton Custer stares down a Drake defender. 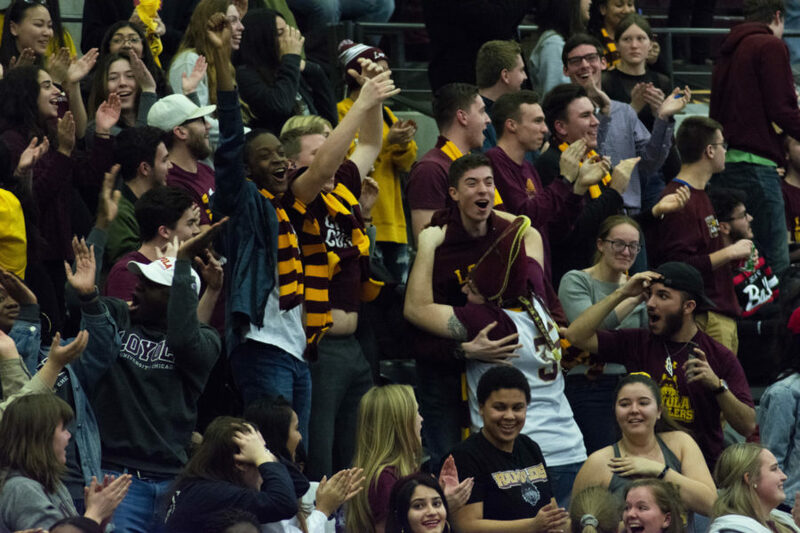 Alanna Demetrius | The Phoenix Loyola students react to first-year guard Cooper Kaifes' first-half buzzer-beater against Drake. Alanna Demetrius | The Phoenix Redshirt senior Loyola guard Clayton Custer looks for an open teammate. 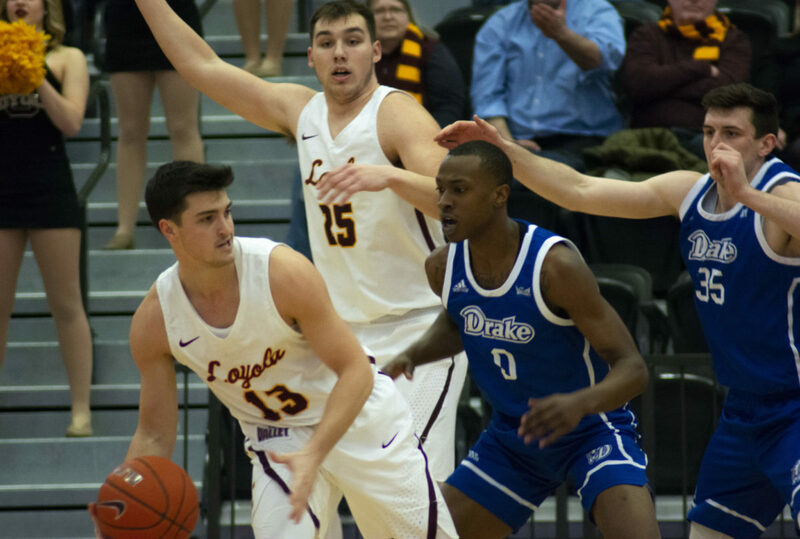 The Loyola men’s basketball team (15-9, 8-3) reclaimed sole possession of first place in the Missouri Valley Conference with a 86-64 win over Drake University Tuesday night. 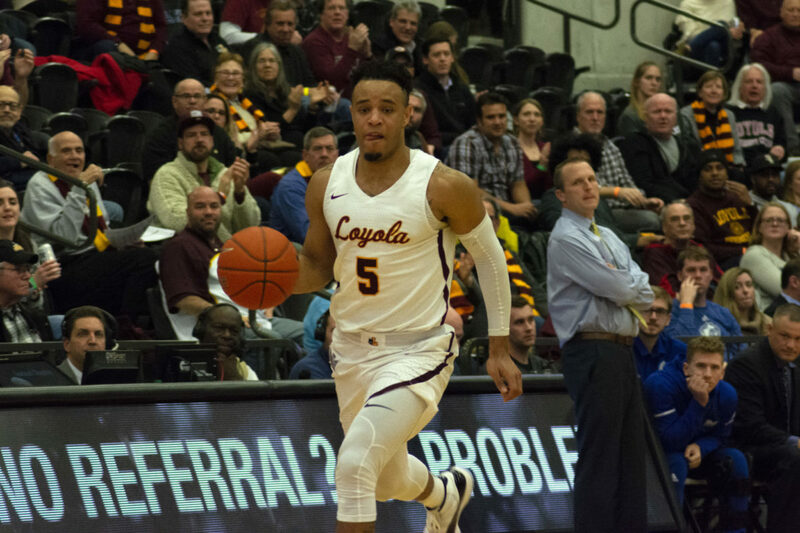 Loyola redshirt senior guard Marques Townes finished with 32 points, after a 21-point first half performance. Townes’ scoring outburst comes after he scored his previous career-high 28 points in his last game against Drake Jan. 5. Townes shot 11-for-18 overall, including a perfect 4-for-4 from three-point territory and 6-for-6 from the free throw line. He also grabbed eight rebounds and had five assists. 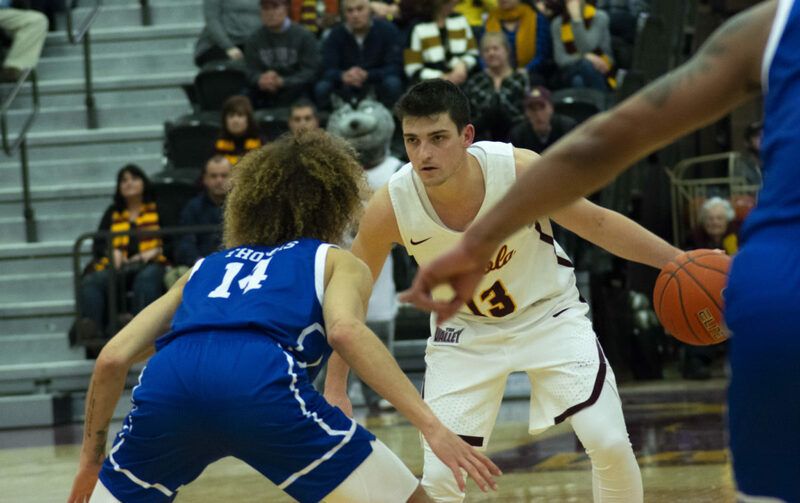 Nick Schultz | The Phoenix Loyola redshirt senior guard Marques Townes had a career-high 32 points against Drake Feb. 5. 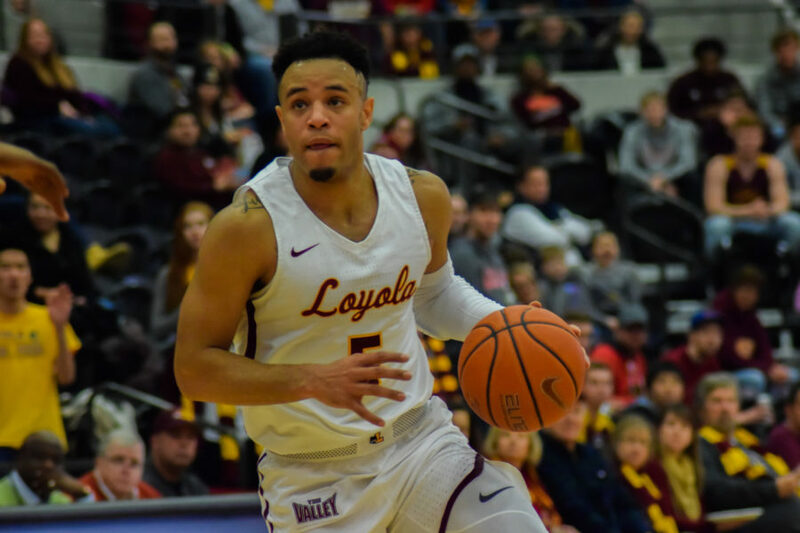 This is Loyola’s 13th consecutive home conference win, with their last loss coming against Indiana State University Jan. 3, 2018. The Ramblers are also now 13-0 on the season when they have scored 70 or more points. 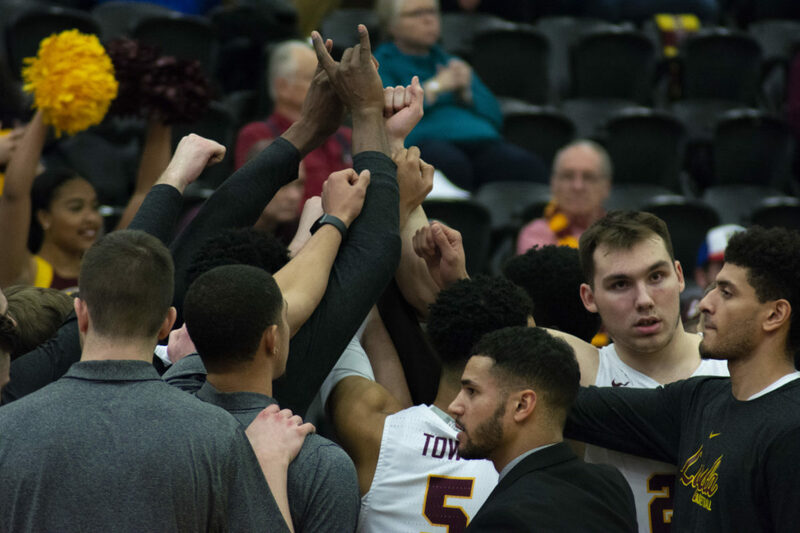 They also took back sole possession of first place after Illinois State University, which was tied with Loyola for first, lost to Valparaiso University 69-53. Early in the first half, sophomore center Cameron Krutwig went down with a head injury after colliding with a Drake player under the basket. Krutwig exited the game for a short time but returned to play 26 minutes and put up 19 points and snagged nine rebounds. Loyola first-year guard Cooper Kaifes hit a 75-foot buzzer-beater to end the half and give Loyola a 48-32 lead heading into the break. All 12 of Kaifes’ points came from beyond the arc in his 28 minutes off the bench. Redshirt senior guard Clayton Custer was the fourth Rambler to score in double figures, adding 14 points of his own while going 2-for-2 from downtown. The redshirt senior guard bounced back from shooting 1-of-12 from 3-point territory against Illinois State University Feb. 2. Entering the game, Drake was the highest scoring team in the MVC averaging 70.1 points per game. They were also ranked second in the MVC based on the NCAA’s new NCAA Evaluation Tool metric, which replaced the Ratings Percentage Index. Drake was ranked 137th in the country, trailing only Loyola, which came in at 134th. 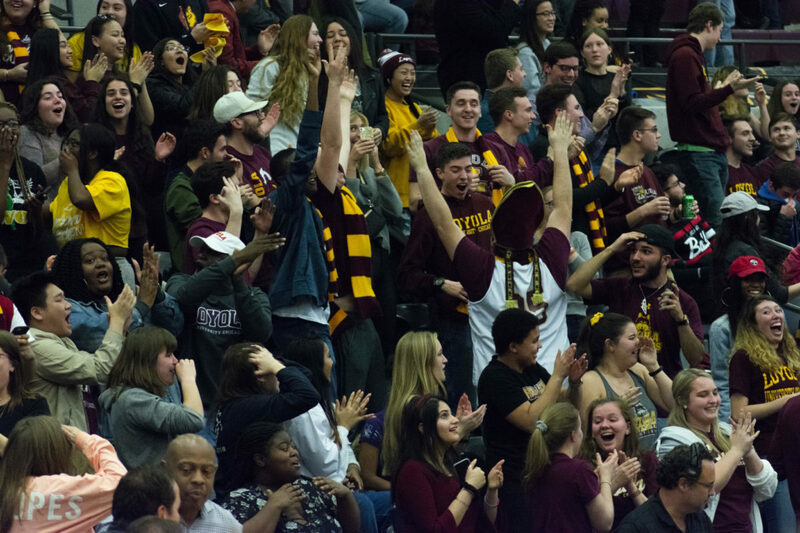 Loyola students react to Cooper Kaifes’ first-half buzzer-beater against Drake. 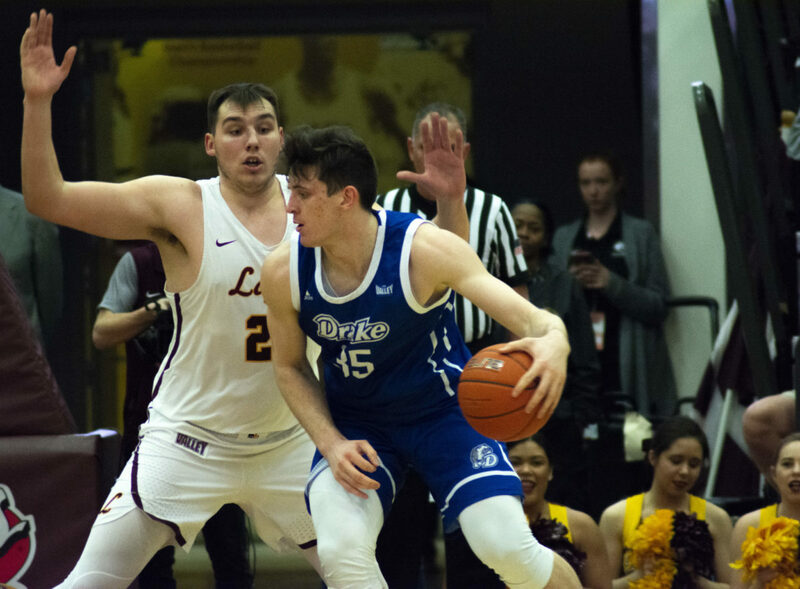 Despite a dominant 22-point victory over Drake, Moser said the team still has room to improve and isn’t Loyola’s peak form. Next, Loyola is scheduled to be at Valparaiso University Feb. 10. Tip-off is scheduled for 3 p.m. and the game will be broadcasted on ESPNU.